This is a very easy method to use. As there are no lots of complected java script or html, it only takes you 2 minutes to modify your contact details. 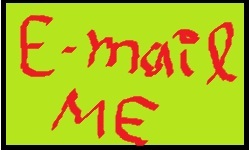 How to add a image to your e-mail contact........? 1.Copy and paste following html to your blog. 2.Edit the green part of the html with your e-mail address. What are the importance of adding image as email link..........? It is very clear that all we loves some grafic contents rather just a link. Therefore this would be very attractive when you are using. Other thing is that it reduces the inappropriate exposure of your e-mail address and reduce spamming upto some level. How to add non-image link to your email.............? In addition you can use following html as email contact but with out image as follows. 1. Copy and paste following html on your blog post/template. 2. Edit the green part of the html with your e-mail address. 3. Post your article./ Save the Script. this is nice . bcz if someone need to share post privatly to some friend. so can use email.